Scoliosis treatment in Korea is available at highly discounted prices at a reputed Seoul hospital. 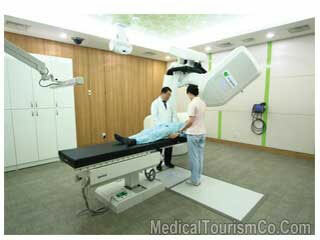 Korea makes an ideal option or people, who are looking for affordable spine surgery abroad. Joint Commission International (JCI) accredited hospital. First specialized hospital to be accredited by JCI. Certified as ‘one of the world’s top 10 hospitals for medical tourists’ by U.S. Medical Travel Quality Alliance (MTQUA). Has state of the art equipment and technology. Follows a minimally invasive treatment principle to provide the patients with lesser hospital stay and recovery time, smaller size of incision and minimal scars. The surgeons performing spine surgery in Seoul are highly qualified, having overseas training and experience. Availability of an English language interpreter. Once the surgery is decided, the patient considering spinal curve treatment in Korea will be guided through the required pre-operative measures. Passport is required. Citizens of USA do not need a visa for a stay up to 90 days. Canadians do not require a visa for a stay up to 180 days. For other countries, please contact to know the details. We advise medical tourists to carry a photo identity proof with them. Bring all the health related documents. Currency: Won. There are many currency exchange counters available at the airports. The required hospital stay for the patient and one accompanying guest will be included in the package. The patient might be required to stay for a few more days in the city for follow-up care. We provide assistance in booking an affordable accommodation. A research conducted by RNCOS has found that South Korea is emerging as a popular medical tourism destination, especially among tourists from the US, Japan and China. 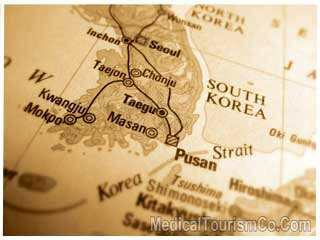 The report dated September 2009, titled ‘Emerging Medical Tourism in South Korea’, states that medical tourists prefer Korea as it offers healthcare at a low cost. The country offers advanced technology and better healthcare infrastructure. Availability of world-class, skilled professionals. Medical Tourism Co strives to provide reasonable services to its international patients who are considering scoliosis treatment in Korea. We also offer various other spines surgeries such as lumbar disc replacement, lumbar tumor removal, and lumbar corpectomy in Korea.